Just like the creations of our interior designers, the signature cocktail of the Perspective New York event brings together diverse tastes. 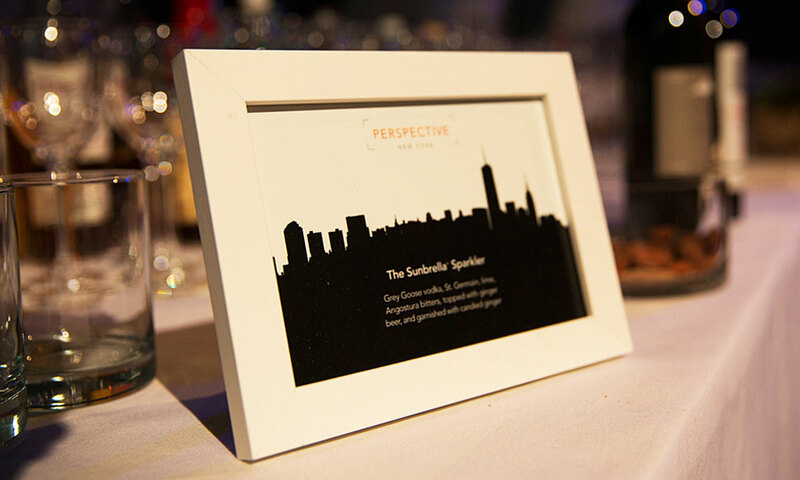 Fun and bright with an underlying sweetness, sharp notes and a touch of spicy ginger, The Sunbrella Sparkler mirrored the energy and creativity at the Perspective New York event at the Highline Stages in the Chelsea neighborhood of New York City. Try our cocktail recipe for a bright spot in the heart of winter. Shake vigorously and strain into martini glass. Top with 2 oz chilled ginger beer. Garnish with candied ginger.